The Statistical Institute of Belize (SIB)was established on April 1, 2007, replacing the Central Statistical Office as the national statistical agency of Belize. 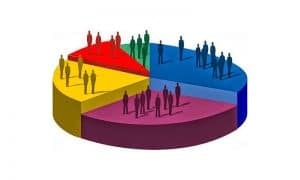 The primary functions of the SIB are to collect, compile, extract, analyse and release official statistics pertaining to the demographic, social, environmental, economic and general activities and conditions of Belize on an impartial basis and in accordance with professional standards and ethics. The SIB is governed by a board of directors, with representation from the government and non-government sectors. The SIB has its headquarters in Belmopan and maintains offices in Belize City and all towns, excluding Benque Viejo Del Carmen and San Pedro, Ambergris Caye. The Institute shall be a body corporate having perpetual succession and a common seal, and subject to the provisions of this Act shall have power to acquire, hold and dispose of movable and immovable property of any kind, to enter into contracts, and to exercise any of the functions entrusted to it by or in accordance with the provisions of this Act, and discharge any duties incidental or ancillary to, or consequential upon, the performance of its functions. The Institute may sue or be sued in its corporate name and shall for all purposes be described by that name. The seal of the Institute shall be authenticated by the signatures of the Chairman and one other director authorized by the Board to act for that purpose, and shall not be affixed except by the authority of a resolution of the Board, and the seal thus authenticated shall be judicially and officially noticed. All documents made by the Institute other than those required by law to be made under seal shall be signified under the hand of the Chairman and one other Director. The Institute shall have its principal office at such place in Belize as the Board may decide, and may establish foreign offices and other offices within Belize as it considers necessary. The functions of the Institute shall be the collection, compilation, extraction, analysis and release of official statistics relating to demographic, social, environmental, economic and general activities and conditions of Belize as specified in the First Schedule. Disseminate data and statistics to the public and the users thereof in a neutral and impartial way, focusing on the phenomena which are essential for decision makers and honouring the citizens’ rights to public information.